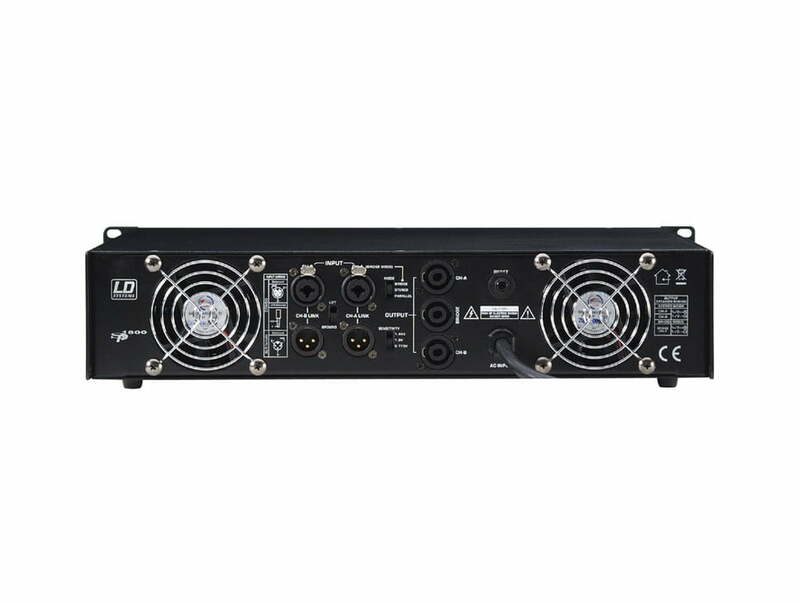 The LD Systems SP1800 2700 Watts RMS Power Amplifier is a professional two-channel power amp; with class-H technology and a switched power supply.The decisive advantage of the new switched power supply; is that it replicates the energy storage provided by conventional transformer/rectifier/electrolytic capacitor power supply units. This has been achieved by sophisticated control electronics; combined with very large storage electrolytic capacitors on both the primary and secondary side of the power supply. The power amp thus has unrestricted applicability even in the bass range; which was previously the domain of classical power amplifiers. It goes without saying that the power amp also feature modern protective circuits. All operating states are indicated by LEDs on the front panel. The SP 1800 permit operation in bridged mode as well as operation with loads of 2 ohms. Protection: Soft Start Up; Thermal Cut-Off; Short Circuit; Overloaded DC Fault; Voltage or Current Limiter; AC Line Fuse. PLEASE NOTE: This is a used item and has just been serviced by a qualified Audio Technician. The item is in-store at Yowcha; 19 Freeman Street, Grimsby and can be seen working. LD Systems produce only quality products; and this is on sale at a very reasonable price! For any Questions about our LD Systems SP1800 2700 watts Power Amplifier; or for Prices on delivery to the EU please contact us. Or; why not visit our Facebook page and follow us? You can see ALL the latest info as it happens!